Definitely a must buy especially at $34.99 for either the PS4 or Xbox One! Today the iPhone 7 Plus became way better at capturing the most important thing in our lives: the people we love. If you haven't already, be sure to download iOS 10.1 (Settings > General > Software Update) and give it a shot. You'll be capturing stunning portraits in no time. 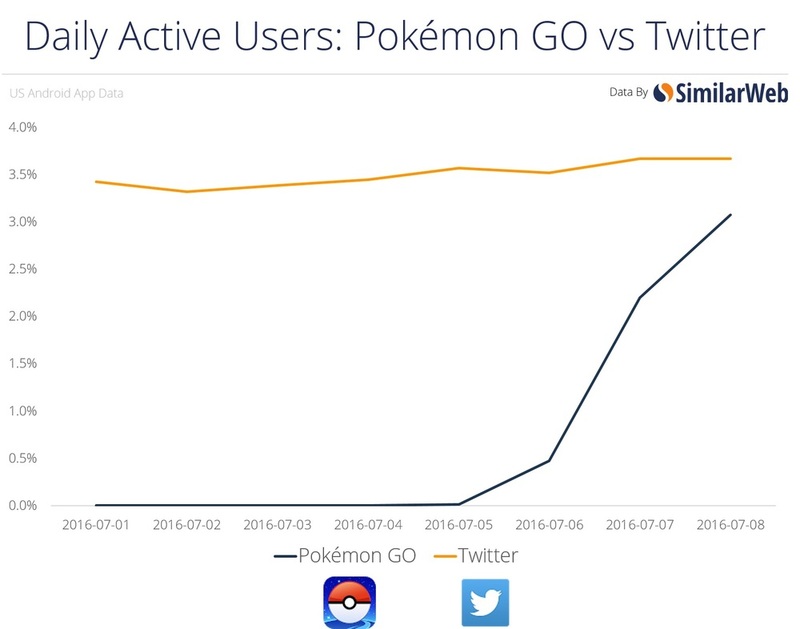 In terms of Usage Time, Pokémon GO is taking up a ton of its user’s time. As of July 8th, the app was being used for an average of 43 minutes, 23 seconds a day, higher than Whatsapp, Instagram, Snapchat, and Messenger. My battery has been pretty abyssal as of late. Gotta catch 'em all! "That's significantly different than how iOS works," Dan Guido, an expert in mobile device encryption and the founder and CEO of security consultancy Trail of Bits, told Ars. "What it means is that now you trust a second party, you trust somebody who built the software that holds the key. Maybe people didn't realize that before, that it's not just Google that can mess around with the software on your phone, but it's also [Google partners], and it's in a very significant way." So, essentially if you are wondering why some users have turned to Apple as of recently, it's because of the broken promises that Google once offered and has failed on thus far. Of course, if you have nothing to hide anyways, use Android or Apple doesn't matter, but don't go saying that you use Android and stay away from Apple because it's more secure. It's been a while (almost a month to be exact) since my last post, but I've been around. Lately, it's that my 1999 BMW 5.28 iT (wagon) is on it's last leg. And with that, I'm out with the necessity of yet another car payment. So with that, here's to 2016! Toyota dealerships are giving around $4,000 - $6,000 off the outgoing 2015 model. That's around $65 - $100 a month in savings at 0% APR which they don't offer on the 2016 model. Essentially, 12 gallons a year which equates to $36 a year at current rates, it's probably best to take advantage of the 2015 deals. Don't get me wrong, I've always believed in getting the latest and the greatest, and with the new tech in the 2016 Prius, it makes it even more tempting but let's face it; the deals they have going right now are just down right ludicrous. Just one day after Adobe released its monthly security patches for various software including Flash Player, the company confirmed a major security vulnerability that affects all versions of Flash for Windows, Mac and Linux computers. You read that correctly… all versions. Adobe said it has been made aware that this vulnerability is being used by hackers to attack users, though it says the attacks are limited and targeted. Using the exploit, an attacker can crash a target PC or even take complete control of the computer. And now for the fun part: The only way to effectively protect yourself against this serious security hole is to completely uninstall Flash Player from your machine. Another reason why Nest needs to update their Dropcam player. I haven't installed Flash in years and use Google Chrome for the sometimes necessary Flash shenanigans. And yes, I'll say it again. Steve Jobs was way ahead of his time in NEVER enabling Flash on Apple's iPhones. 3D Touch facilitates this behavior as quickly previewing tweets and links is easier than ever. If I want to see how many faves, retweets, or replies a tweet has received I no longer have to swipe on it and then swipe back – I can just press, peek, and let go to return to my timeline. Tweets are previewed in a smaller card with the same design of a standalone detail view (which is what you get if you "pop" and choose to fully expand a tweet, entering a nested view). Leave it up to one of the best apps on iOS to implmenet 3D Touch in the way that it's suppose to be. Way to go Tapbots team! If you haven't already, buy the latest version and best twitter client now, Tweetbot 4 only for iOS. I've always wondered why over the years or so that one of my favorite websites started to get bogged down by excessive loading times. Now I know exactly why and no it's not your old iPhone / Android phone model. Read his entire analysis and tell me what you think. It's mind boggling really. The change came after security researcher Joshua Drake unveiled what he called Stagefright, hacking software that allows attackers to send a special multimedia message to an Android phone and access sensitive content even if the message is unopened. Samsung Vice President Rick Segal acknowledged that his company could not force the telecommunications carriers that buy its devices in bulk to install the fixes and that some might do so only for higher-end users. Researchers from FireEye have found that data that could be used to clone a user’s fingerprint was stored as an unencrypted “world readable” image file on HTC smartphones. Four security researchers discovered that the image file, which is clear replica of a user’s fingerprint, could be stolen by rogue apps or hackers. This is why Apple does what it does. I can't say never, but so far, they really are winning when it comes to security and protecting its users. We believe that the greater public good is a secure communications infrastructure protected by ubiquitous encryption at the device, server and enterprise level without building in means for government monitoring. I'm a strong supporter in encryption especially in light of the OPM hacks and United Airlines hacks. Finally, and most significantly, if the United States can demand that companies make available a duplicate key, other nations such as China will insist on the same. There will be no principled basis to resist that legal demand. The result will be to expose business, political and personal communications to a wide spectrum of governmental access regimes with varying degrees of due process. PSA: PhotoBulk is 30% off! Right now PhotoBulk but Eltima Software is on sale for $6.99 down from $9.99 on the Mac App Store and it's probably some of the best money that I've spent on any app on my Mac. If you like editing and adding watermarks to your photos, check this awesomeness out! Other features include: Resizing, bulk renaming, optimzing and renaming, it also supports JPGs, GIFs, PNGs, BMPs and TIFF. Of course this wonderful app is available on Windows too. There's also a free version available at the Eltima website. Cheers!